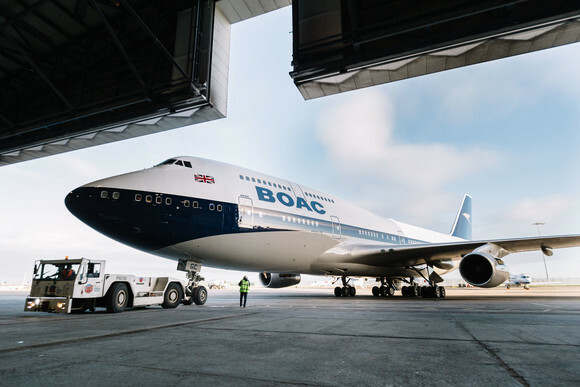 Monday February 18, 2019 – Large crowds gathered at Heathrow today to watch the much-anticipated arrival of a British Airways Boeing 747 painted in the iconic design of its predecessor British Overseas Airways Corporation (BOAC). From the paint bay at Dublin Airport, the BOAC Boeing 747 flew directly to Heathrow on the aptly named BA100 touching down this morning. Its next flight will be tomorrow, Tuesday February 19, when it departs for New York JFK operating as flight BA117. This flight is particularly significant as it was the first route the B747 flew in BOAC colours.